The Catalan league commences in November and typically runs until March and hosts 15 teams all from Catalonia. 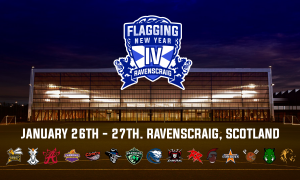 In a round robin style format the eventual top 8 fight it out for the league title. 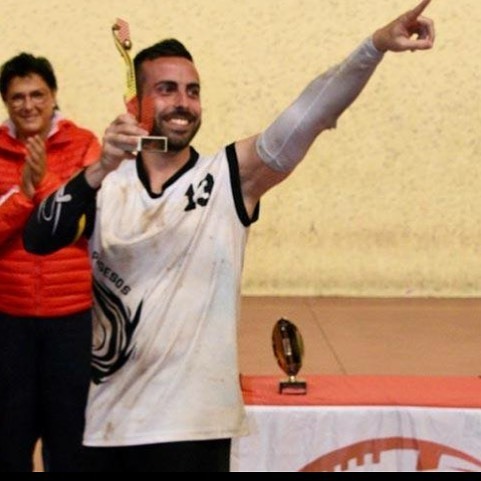 For the first time the league introduced a new rule permitting only flag players to participate meaning teams involved in tackle would not be able to compete, such as Barcelona Uroloki. 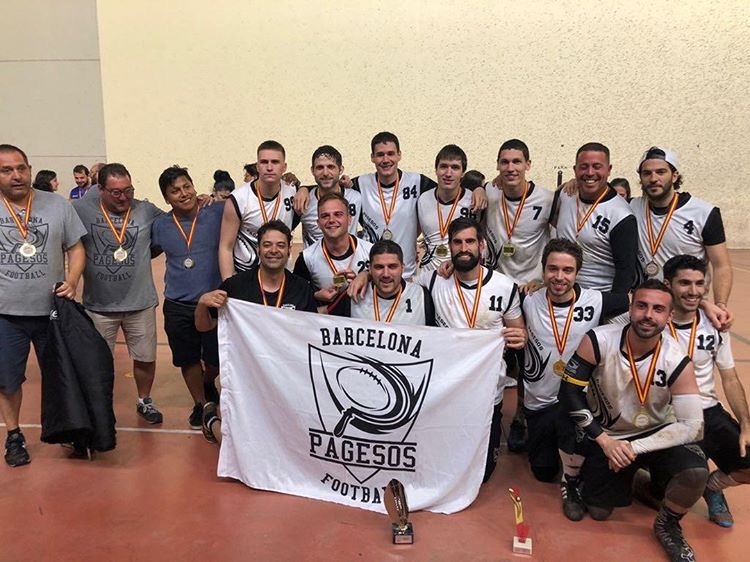 This year ended with Pagesos defeating Wolves Sarria de Ter in the final and MVP Honours going to star Safety & Wide Receiver Marc Minyana for his play on both sides of the ball. 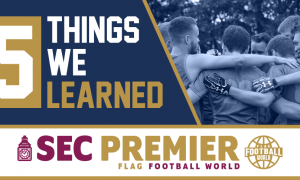 The Calender then takes the teams to the Catalan cup that permits tackle players to be involved with the prize on offer being an entry into the Spanish Flag Bowl. The cup also involves 15 teams over 3 groups of 5 continuing to a further 3 groups of 5. This gives the tournament a top 3 (winner from each group) which Pagesos would win after defeating both City rivals Barcelona Bufals & Barcelona Uroloki. The very impressive Marc Minyana would bag himself a 2nd MVP for the season in another impressive display. 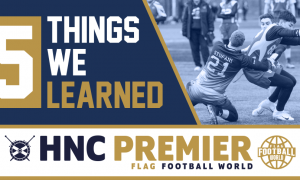 The end of the Flag Football season takes us to the Spanish Flag Bowl which is made up of the winners from each of the 8 regional championships (Cataluña, Madrid, Asturias, Canarias, Valencia, Andalucía, Murcia and Galicia). 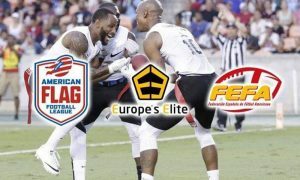 Three of the champions decided not to enter the Spanish Flag Bowl (Andalucía, Murcia and Galicia, the latter due to its league not being finished), so the Spanish Federation decided to invite other teams. Holding 11 teams and each playing 4 games, The top 4 would then form the Semi Finals and Final to confirm who would take the honour of being the top team in Spain. 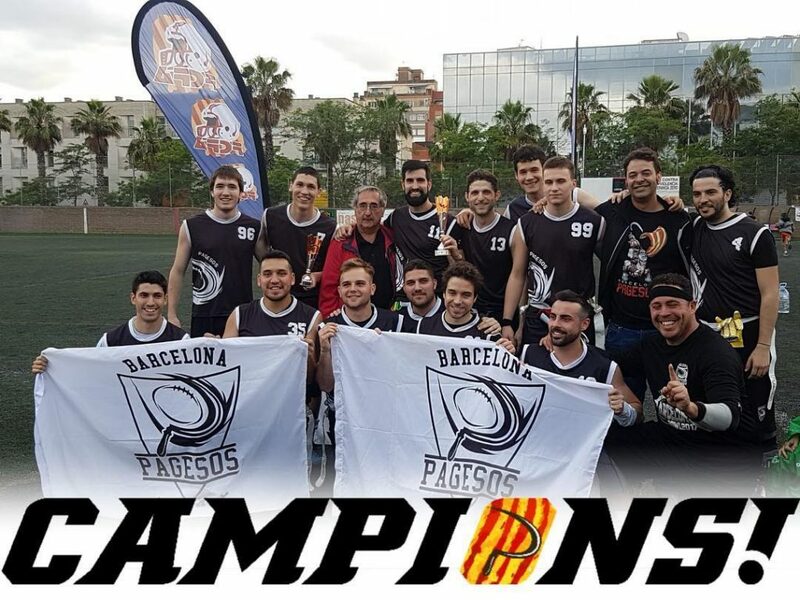 After beating one of their closest rivals in the Madrid Capitals 19-12 it would be no surprise to see another closely matched rival in the Final as Coslada Camioneros ended previous champions the Valencia firebats campaign in the Semi Final. Much like most of the season Pagesos would depend heavily on RB & stand in LB Alejandro De Haro in the final and he would prove to be their saviour en-route to the title earning himself the Tournament MVP. 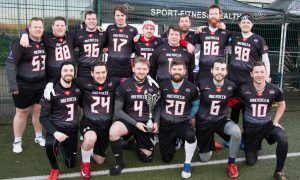 This would be a historic season for the Barcelona side as they would go a near perfect 34-1 record, dropping only one game all season to the Valencia Firebats in the Flag Bowl as they powered towards an impressive treble. A lot of that success is due to the excellent play of Minyana and De Haro along with Alex Baron (WR). 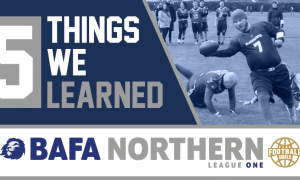 Sadly, long time veteran QB Teo Polanco has played his last game for the team at the age of 50 and will be missed by the squad, showing that age is only a number as he kept in shape and gave the team some valuable experience and motivation. 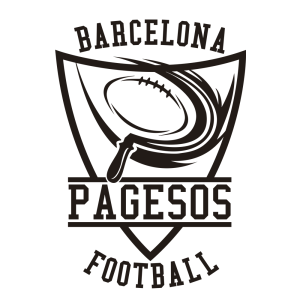 The Pagesos roller-coaster will continue with an appearance at Pink Bowl where they hope that the momentum continues and prove themselves against some of the best teams in Europe.